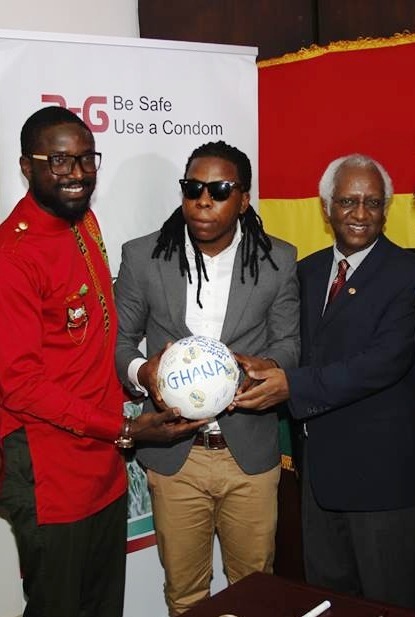 Some of Ghana’s known faces have signed up to the Protect the Goal campaign of the United Nations’ body for HIV/AIDS, UNAIDS. 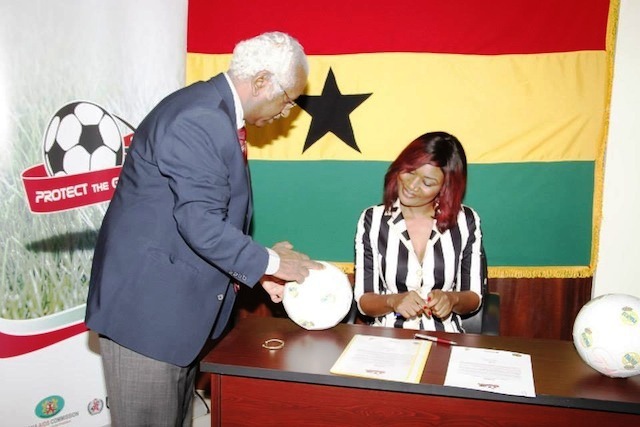 At a ceremony held in Accra on Tuesday, the known faces including Sandra Ankobiah, Nana Aba Anamoah, Ama K. Abebrese, Elikem Kumordzi and Edem among a host of others pledged their commitment to the theme of the campaign, which seeks among other things to sustain the gains being made against the spread of the epidemic in Ghana. Taking different turns, they also recorded short video messages, calling on the millions who look up to them to adhere to safe sëx, as it was a sure way of achieving targets of zero new HIV infections. They also called for zero discrimination, and zero AIDS-related deaths. 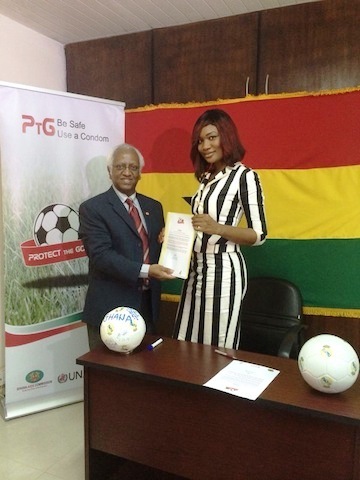 Protect the Goal (PtG) is a joint campaign between UNAIDS and the world football governing body, FIFA, to advocate for the prevention of HIV infection through sports. 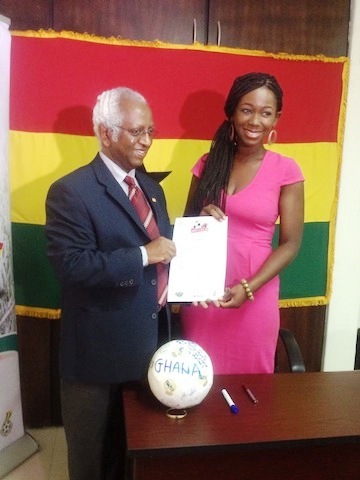 The campaign illustrates the power of protection and fosters HIV prevention and treatment in preparations for the 2014 World Cup in Brazil. It also aims to raise awareness of HIV and mobile young people to commit to its prevention. The exercise was administered by the Country Director of the UNAIDS, Girmay Haile. 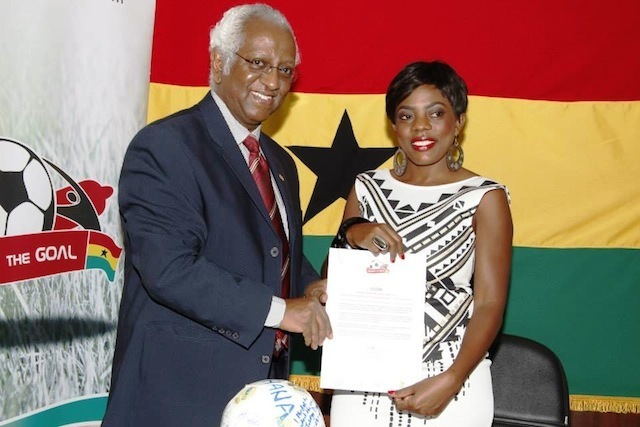 PHOTOS: Ama K. Abebrese, Sandra Ankobiah, Elikem Kumordzi, Joselyn Dumas, others sign up to UNAIDS’ Protect the Goal campaign 0 out of 5 based on 0 ratings. 0 user reviews.